The world of Naruto is exceptional and can charm even the deepest of imaginations. It’s captivating and will leave you spellbound. Enjoy authentic characters, beautiful settings, and a vast world that is resoundingly mesmerising. 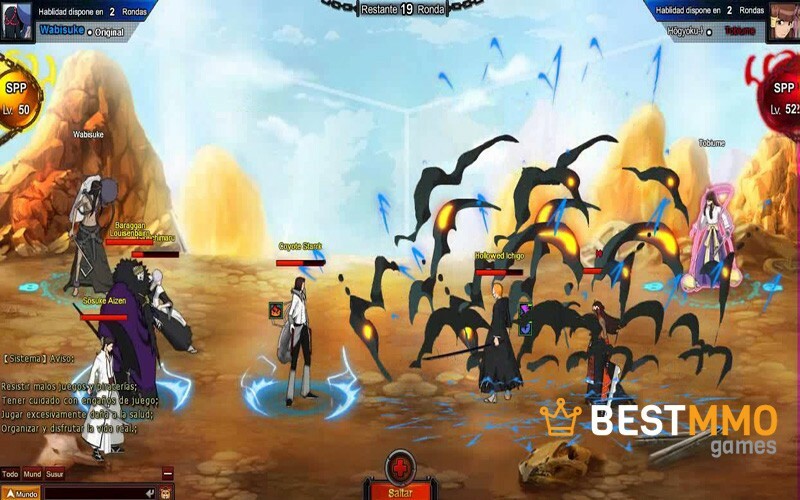 This Naruto Online MMORPG is a one of a kind magical game for players wanting an immersive experience with an adventure at every corner. Here is more on what makes this a world-class gaming experience. Whether it’s the Valley of the End or the Village Hidden in the Sand, you want to look at these scenic locations as soon as possible. They’ve been recreated based on the Naruto story line, so you’ll live through what the characters did, and the details are unbeatable. You’ll feel as if you’re in the world and living it again. These locations are not only beautiful but cultivated to make your gaming experience entertaining. 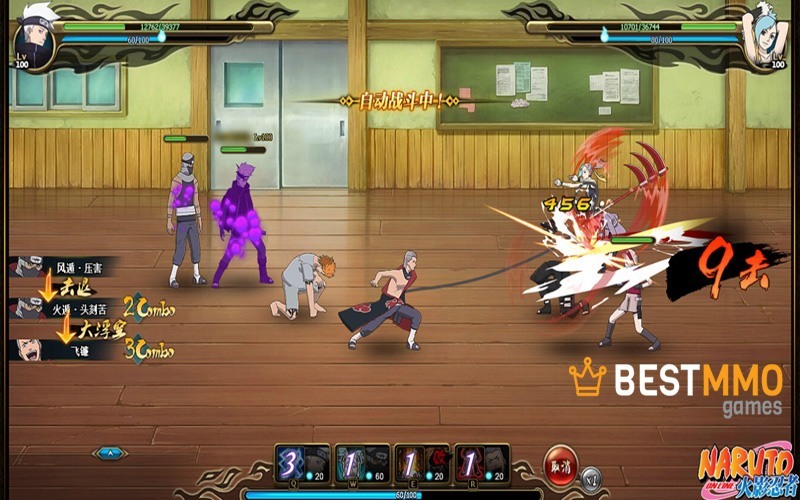 Go through each setting and tap into its power to go on quests and join up with others. It’s an empowering experience for all gamers. This is a simple, turn-based browser game as you play through various scenarios and settings. Choose your character, build them up, and hone your skillset to get more out of the experience. This game is going to throw everything at you, and it’s up to you as to how the battle ensues. Take control of this game and the moment to make it your own. Within minutes, you’ll be up and running as the setup process doesn’t take long and it’s designed for those who want to play more and talk less. All characters are designed to work with the setting and are going to intertwine beautifully once the setting emerges. 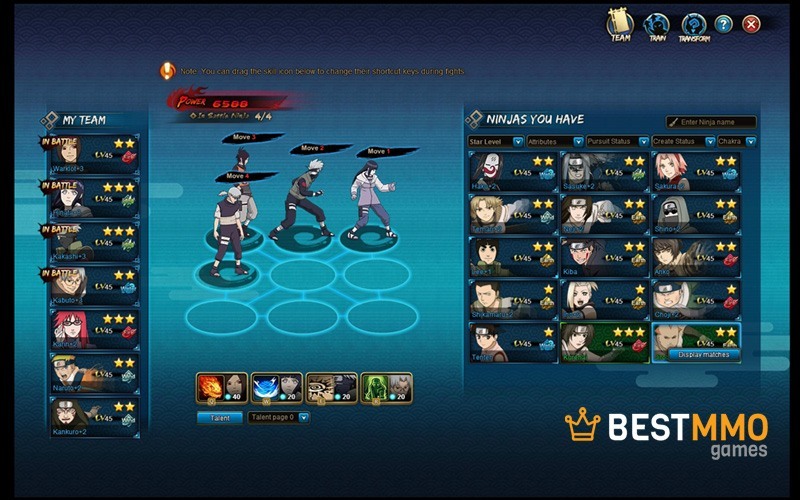 Take control of these characters and build a robust ninja team to take to battle with you. These are characters; you’ll enjoy and make the most of day in and day out. Want to have illustrious battles that will be remembered for years to come in this magical world? Well, with giant world boss battles, you’ll have something unique come up every single time. Take on these large challenges and beat them like no one else can! These battles are waiting for your arrival. 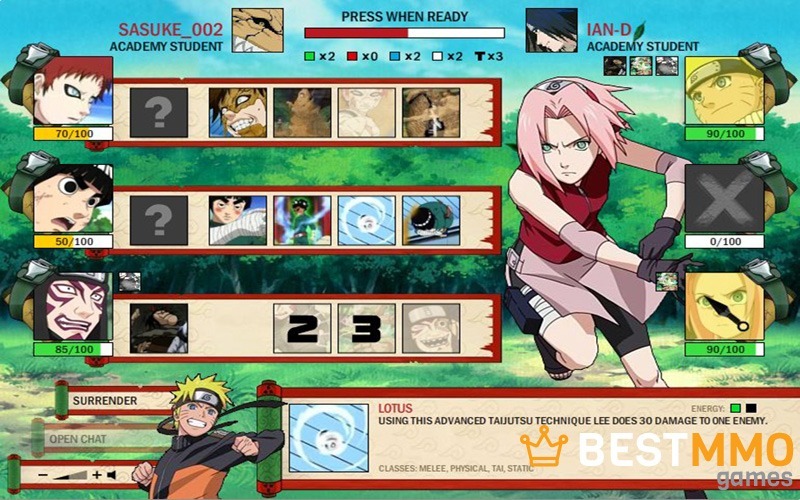 All fighting mechanisms have been honed through Naruto-based techniques and are equipped to provide unique situations to each and every gamer. Learn these fighting mechanisms and take on the evil that lurks in your world. The power you’ll feel is going to be immense as you go after the bad guys. 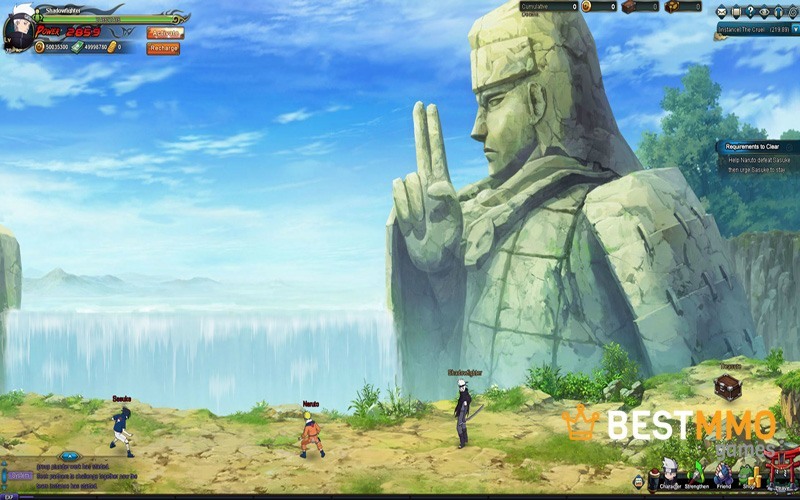 Naruto Online has a variety of character enhancements. Want to spice things up and build your character from the ground up? Everyone has their imagination as to what’s cool and what’s not. 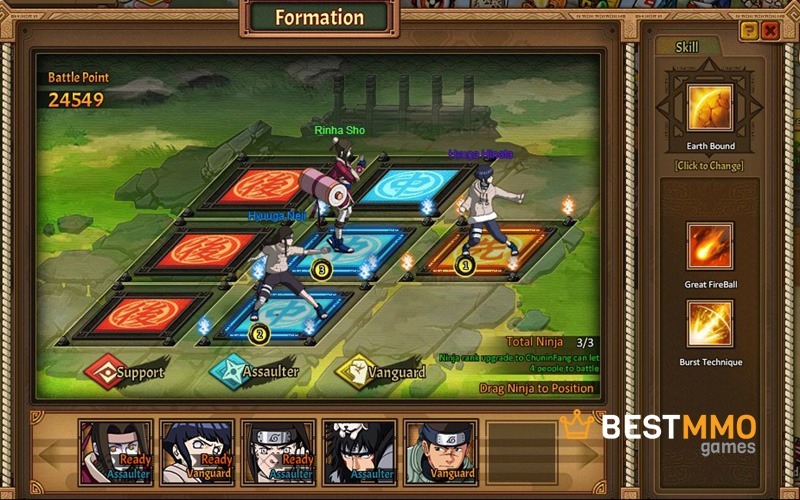 Using Naruto’s established guidelines, build a seamless character and continue to “power up” as you go from level to level. It doesn’t get better than this. You’ll have full autonomy to do as you please when it pertains to character development and their appearance. This is the control you’ve been waiting for. 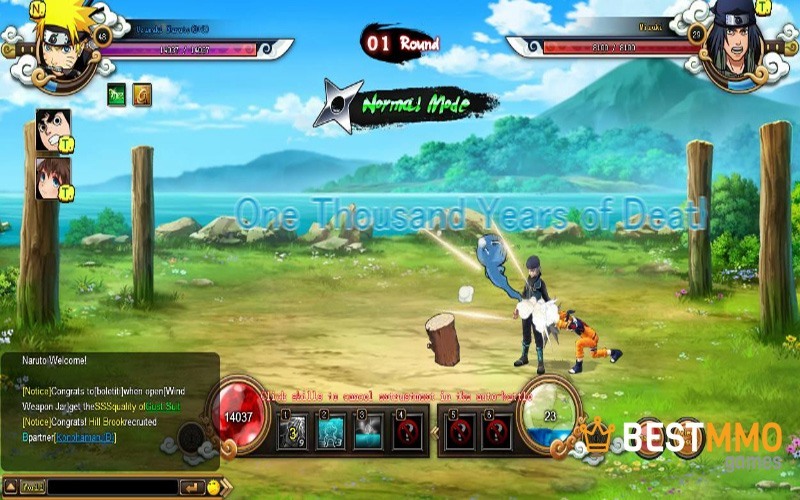 Naruto Online MMORPG is the perfect game for those wanting to immerse themselves in the world of Naruto. Take on the scenes relived in the magical series and create your own twists. It is a way to enjoy the setting and make it your own like never before. 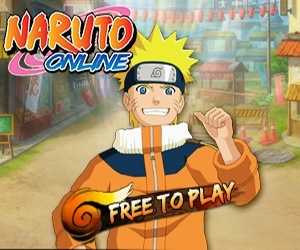 Get a hold of Naruto Online MMORPG and entertain yourself for years to come! OS: Windows XP/Vista/7/8 (32 and 64 Bit). Processor: Intel Pentium 4 2.8 GHz/AMD Sempron+ 2800 (with SSE2). Memory Ram: At Least 1 GB RAM. Hard Disk Space: 40GB available HDD space. ← What Sets Drakensang Online Apart From Other Browser Games?